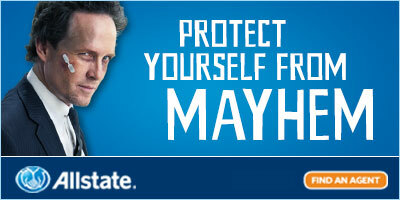 Avoid Mayhem. Do programming. Since 2002 RedMonk has argued for the primacy of developers and practitioners in driving business advantage. We see ourselves as developer advocates as much as industry analysts. Our thesis concerns The New Kingmakers. At some point in the last couple of years the Big Switch just happened. The Fortune 500 has got the memo that the only sustainable business advantage in an age of unprecedented technical change is unleashing engineering talent. I am not a big fan of the way our industry abuses the term “paradigm shift”, but we are evidently witnessing one right now, in a way that Thomas Kuhn would recognise – the Structure of a Business Technical revolution. A couple of weeks ago I attended Pivotal’s SpringOne Platform conference, which really solidified things for me. I have certainly attended major vendor conferences over the past few years in which enterprise business executives talked about the growing importance of developers in their operations. But SpringOne Platform was the first major vendor conference I’ve been to where the voice of the customer was the voice of the developer. Julie Burnard, Ford Motor Company. Greg Otto, Comcast. Doug Safford, AllState. Sheralynn Briggs, The Home Depot. Justin Erenkrantz, BLOOMBERG. Ted Tollefson, Kroger. Andy Zitney, McKesson. Brad Miller, Citi. Sebastian Blandizzi, MANULIFE. I had conversation after conversation with leaders working at companies that aren’t “cool”, showing that they get it. Fortune 500 people seemingly just as attuned to modern developer culture. The passion for developer-driven reinvention was really bracing. You should watch the keynote. If you’re a business that hasn’t got the memo yet make sure your CEO watches some of the videos. Companies are currently building software development competences that are going to lead to sustainable competitive advantage. The direction of travel in 2016 is much less clear-cut however. At SpringOne platform I talked to Brad Miller, who left Amazon to join Citi. He isn’t alone. The war for talent in IT? You haven’t seen anything yet. To Cockcroft’s point the companies where high performing individuals and teams will choose to stay are those that “get out the way”. But how do enterprises get better at writing and managing software, and learn how to get out of the way? One way is to bring in outside expertise to teach new methods and styles. Which brings us to Pivotal’s founding story. Pivotal Labs was originally a consulting shop, acquired by VMware, which had built a reputation improving already cutting edge engineering operations at companies including Google and Twitter, with a focus on pair programming and a set of practices called the Pivotal Way. Enterprises are buying into this approach. It is the spearhead for most customer engagement. Today the companies adopting Pivotal Cloud Foundry generally start with services engagement. Frankly there aren’t many services firms in the world that truly understand how to teach agile, devops, and CI/CD. Outside Pivotal itself you might look to Thoughtworks, while IBM is building up its own skills with its IBM Bluemix Garage Method. Flattery indeed. But the Pivotal Way is more than a method – it’s a cult inside Pivotal, and customers are evidently buying in. I met with Doug Safford of Allstate at the event. It was basically meeting a RedMonk exemplar. He argued that the press and media had been missing the point. You write about Uber and Airbnb all the time but this is much bigger than that. The change is as fundamental as when the assembly line came in. Allstate is in the midst of a major talent driven transformation, and Pivotal Labs is at the heart of it. The business leaders said… we’re not doing cubicles any more. Compozed is the internally branded entity at AllState that covers all agile development on the cloud, starting with training and work environment. I want complete delineation between scrum agile and waterfall. i haven’t seen a bigger bang for the buck than pair programming, XP and the Pivotal way. A big part of my job is not treating people like they’re not good enough. Before we treated people like they couldn’t do stuff, after the training, now they’re blowing us away. We hired people to maintain poor code. Now we’re saying create for us, it’s a different comfort level. Management were all bred and hired and rewarded for climbing the ladder, but all along we had this jewel, we were ignoring, the developers. Safford used the phrase the “frozen middle” to describe process-serving middle management. It turns out business alignment is about getting engineering closer to management. Amen, brother. I would work for Doug. He’s hiring. The big switch is happening all over the place. GE was an early investor in Pivotal. Same week as the SpringOne Platform conference CEO Jeff Immelt said all new employees would learn to code. I am not sure this approach totally makes sense, but it’s a great marker for the corporate world. Where GE leads others follow. Why GE is giving up employee ratings, abandoning annual reviews and rethinking the role of HQ. Which brings me to how we will get there – our culture. We may be a century-old company, but we need to move quickly, take risks, fail fast and behave like a startup to keep winning. I joined GE 34 years ago, and until recently our management could make every decision in the headquarters. Those days are over. We have to embrace decentralization and use technology to help our people to stay connected and allow more automated decision-making so you can look at an app and see what’s going on inside the company. But culture is not just apps. It’s a combination of people and technology. If you are joining the company in your 20s, unlike when I joined, you’re going to learn to code. It doesn’t matter whether you are in sales, finance or operations. You may not end up being a programmer, but you will know how to code. We are also changing the plumbing inside the company to connect everyone and make the culture change possible. This is existential and we’re committed to this. This is the environment in which enterprise tech is now competing, and it’s not clear that everyone is ready for the change. If you’re Amazon Web Services everything looks rosy. But outsourced infrastructure drives the need for insourced development talent. Clearly Amazon has nothing in its services arsenal as yet that looks like the change Pivotal is set up for. Cloud Foundry is a fulcrum for the Anyone But Amazon coalitions. Pivotal can engage in developer retraining and restructuring, then offer PCF as the platform for developing apps without having to worry about infrastructure. But just before signing off I shouldn’t ignore the pun in the title. While Pivotal has been engaged in hand to hand combat against IBM around Cloud Foundry engagements the Spring team basically rebuilt the platform from scratch in a major refactoring exercise aimed at making Spring easier to use for web apps and microservices. Spring Boot takes the concept of convention over configuration to its natural conclusion in the Java world. At a time when Oracle and the JEE community are at loggerheads Pivotal has delivered an elegant platform with deep attention to detail in terms of improving the Java developer experience- something that Java has never excelled at. During the opening keynote the phrase “owning Java” was used. So the gauntlet is thrown down, and IT shops that aren’t ready for a Cloud Foundry-only stateless world Spring Boot looks like an effective choice for transactional applications. I will be writing more on this, so check back in early September. And a bonus video about the Pivotal Spring One event. Disclosure Amazon, IBM and Pivotal are clients. Pivotal paid for my T&E.